Why Not Turn on Automated Responses to Reviews/Recommendations? Facebook recently released a tool that makes it easier for brands to manage their online reputation…or did they? Facebook allows brands to turn on Automated Responses when a customer recommends or leaves a “Doesn’t Recommend” status for a brand. There are endless reasons brands should not automate social interactions. Here are the Top 3 reasons to not automate reputation management. Every day, we see reviews and recommendations that do not correlate with the star rating, or in Facebook’s case, recommend/doesn’t recommend. We live in a time where social media tends to be the easiest way for consumers to communicate positive and negative experiences with brands. At Stellar Digital, we have read reviews left for clients that are posted during or immediately after a fight, shooting or another scary & sensitive encounter. Consumers find it easier and intuitive to post on social than to call an 800 number or fill out a contact form on a website. Having the same response for every single review is lazy and ingenuine. Consumer behavior is to read reviews before visiting an establishment or leaving their own review. 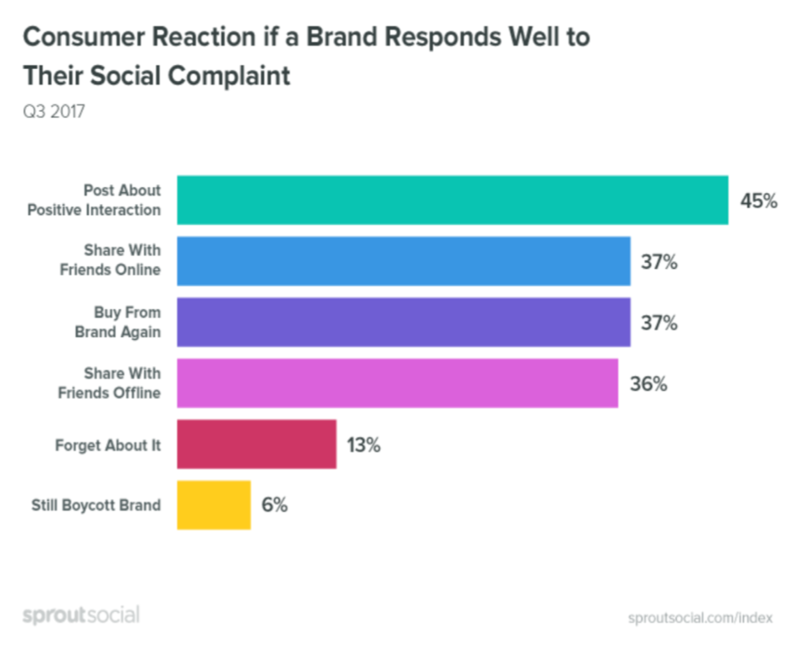 We have seen consumers leave a review and copy and paste the brand’s canned response before the brand has a chance to – mocking them and publicly acknowledging they know the brand won’t care, but they still want others to read about their experience. People who leave reviews often outline their experience with details and leave suggestions or ask questions. Providing a canned response without reading the review implies that the brand lacks empathy for their consumers’ experience or has bots responding. Work with your customer service team to create social media-friendly responses. Make it a priority to read and respond to all reviews at least once a day. If you don’t have the resources or bandwidth, the Stellar Digital team can help you get started! In the end, consumers are your most powerful marketing team. They deserve more than automated, ingenuine responses.